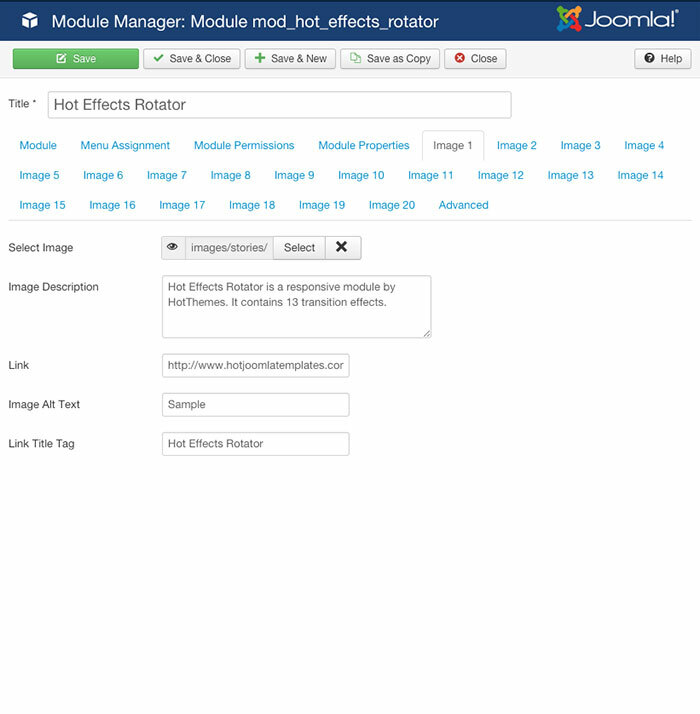 Responsive module Hot Effects Rotator is a simple, yet powerful Joomla slideshow module. This module makes slideshow presentations with selection of 13 transition effects. It's fully configurable, simple image rotator, based on jQuery. In module parameters, you have control over the module display. You can set transition effects parameters. It's possible to add internal or external link for each image in the set. Also, if you like, you can add description text for any Joomla slideshow image. Responsive module that looks good on all devices and screen sizes. Select one of 13 transition effects plus random mode (randomize effects). Parametrized number of slices for slice based effects. Left/Right navigation buttons: Always enabled, enabled on hover or disabled. Optional pause of the slideshow on mouse-over. Optional link for each image in the set. Link can be opened in current or new window. You can add description text for each image if needed. No conflict jQuery mode, so you can use it altogether with non-jQuery based extensions. 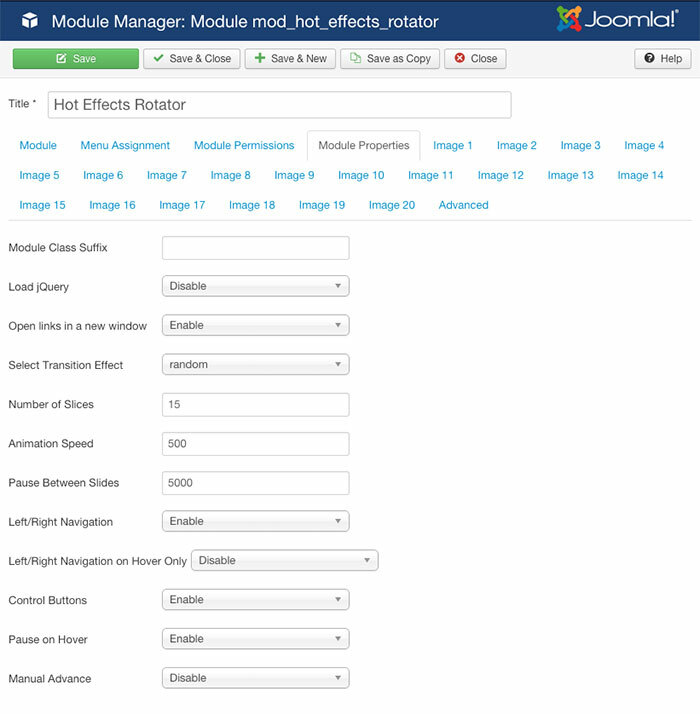 Open module parameters in Extensions > Module Manager > Hot Effects Rotator. You'll see that some default parameters are already there. However, you should change some of them to accommodate module for usage on your site. SELECT IMAGE: Select image that will be used for this slide. IMAGE ALT TEXT: Text to be displayed as the image's alt text. IMAGE TITLE TEXT: Text to be displayed as the image's title text.